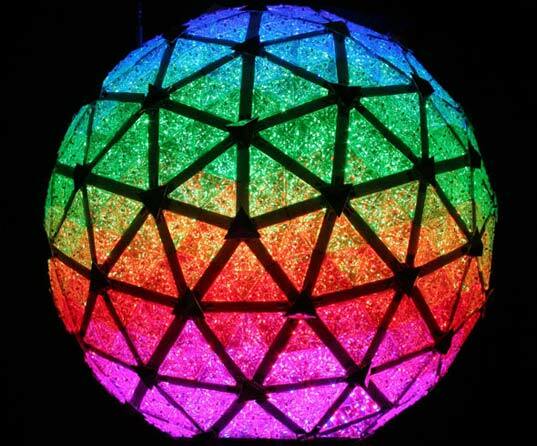 This year the New Year’s Eve ball that will descend over Times Square in New York City will be the biggest ever. It will also be the greenest. Using Philips Luxeon Rebel LED modules (32, 256 of them), the ball is capable of producing more than 16 million colors and a dazzling display of patterns. All this while operating with 20% less energy consuption. The ball weighs over 11,000 lbs. and is built around an aluminum frame that carefully cradles the 2,688 Waterford crystal triangles that are bolted over the LEDs. While at CNP Signs & Graphics we might questions the use of crystal for long-term durability, for one night, it’s probably going to be just fine. To see more about the history of the New Year’s ball, click here. To see more pictures of this year’s ball, click here. For more about LEDs and outdoor signage, contact your friendly and knowledgeable CNP representative.